One of the most rewarding feelings is taking your best friend into nature with you. 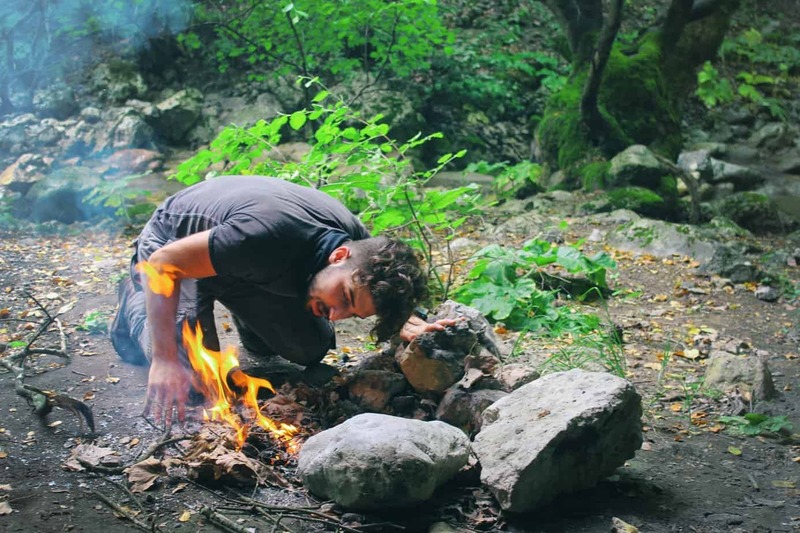 Having someone who is always up for the adventure and living on the wild side. 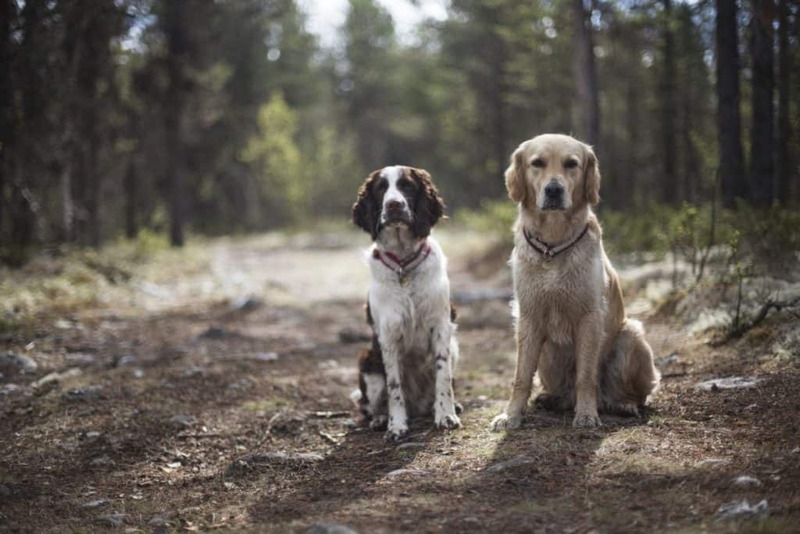 Who is more likely to be up for any hiking adventure, anytime other than your furry four-legged best friends. When you are a person who loves hiking, you want a very active dog who can handle hiking while staying by your side the whole way. It is so much fun to watch your dog run around in the wild having the time of their lives, but you want to make sure your dog won’t wander off while they are off leash. There are certain dog breeds that do extremely well with off-leash hiking. With proper training and leadership, some dog breeds flourish when hiking off leash. They can be very loyal and love the freedom to hike independently. Are they an active dog? Do they respond well to leadership? Do you want a dog that does well in water? Is the dog going to be around children or other dogs? If you plan on taking your dog on long hikes, they need to be a fairly active breed. Dogs that prefer to lay around all day are not going to want to venture down long paths with you. They’ll probably even give up and make you carry them. Stubborn and independent dogs do not do well off leash. People don’t like others’ dogs running rampant on the trail. You can almost train any dog to do what you want them to, but some breeds respond vastly better than others to leadership. If you plan to do other activities than hiking with your dogs, such as stand up paddle boarding or swimming, you may want a dog made for water. Most hunting dogs love the water and will take any chance they get to take a dip. They are built for swimming and wicking away water. Most dogs respond well to children or other dogs as long as they are brought in to these situations as a puppy. Not all dogs are patient or outgoing enough though. There are dogs that love children and other dogs that would fit in perfectly with the family. 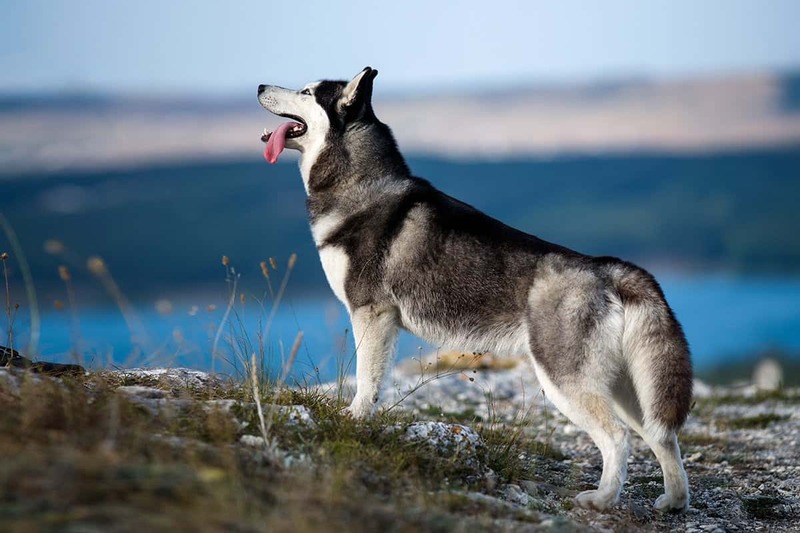 Usually, the best dog breeds for off-leash hiking are competitive hunting dogs or shepherding dogs. They are meant for the outdoors and love catering to their owners. Here is a list of the best dog breeds for off-leash hiking. Border Collies are one of the smartest dogs out there. Training throughout their life is easy with these dogs due to their need for mental stimulation and need to satisfy their owners. These are also very active dogs and require a lot of exercises, making them great for hiking off leash. However, border collies are fairly shy. They don’t enjoy strangers running up to them. They love their families but feel more comfortable with older children who are more orderly because of their herding tendencies. 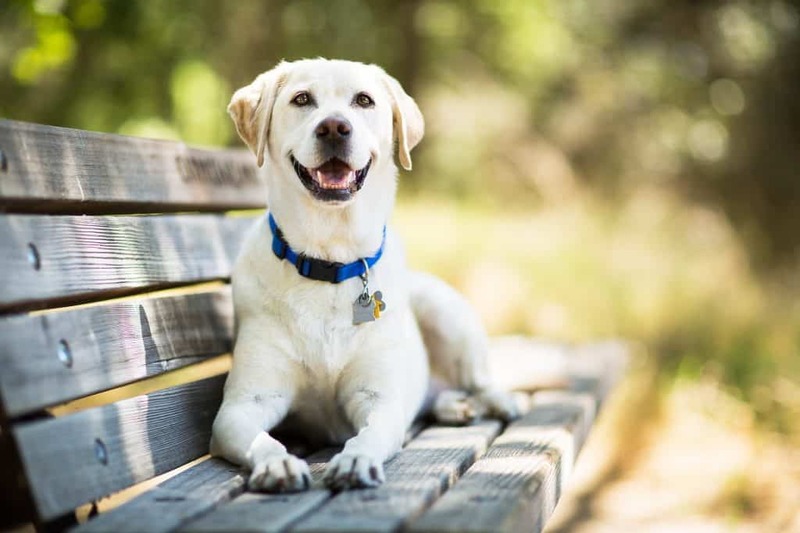 Labrador retrievers (Labs) are well known for their friendliness and their ability to weather the outdoors lifestyle with they’re shedding, water repelling coats. They love water sports, running, and get along extremely well with other people and pets. You can take these pups hiking off leash year around without worrying about surrounding people or pets. Even though labs are very obedient, they need regular exercise. Labs are known for taking their pent-up energy out in destructive ways. Engaging these dogs in plenty of outdoor activities is what they crave. 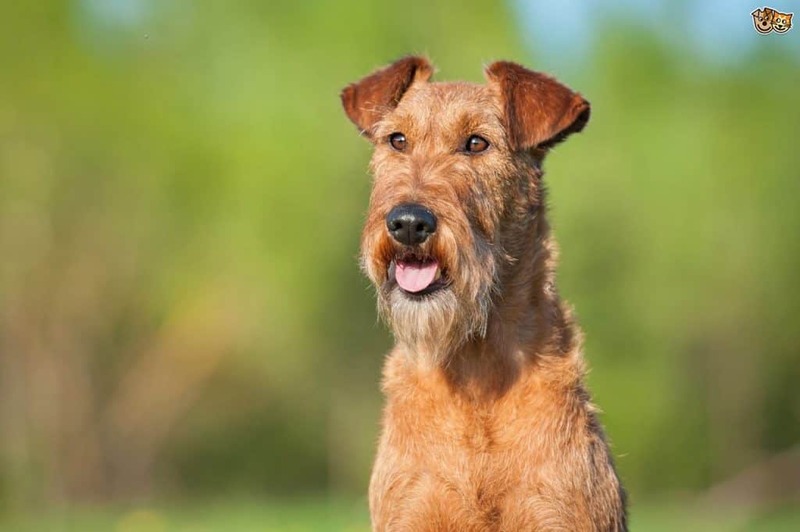 Irish Terriers are a very eye-catching dog. They are graceful and energetic needing plenty of outdoor time. They have an easy temperament that adapts to change really well, making them great for a growing family. These terriers are very good at catching on to training quickly but are also very independent. They will need training throughout their lifespan to be off leash. However, they respond well to strong leadership, so will always come when called. 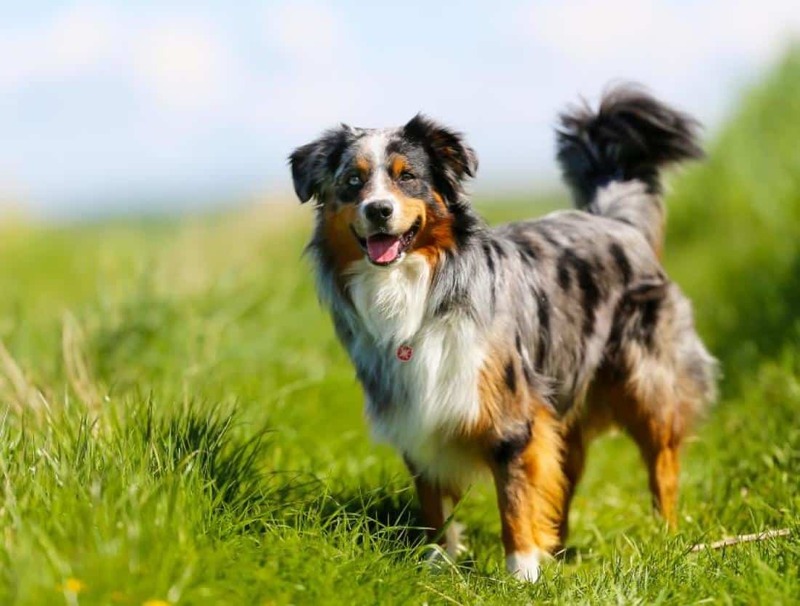 Australian shepherds are great working dogs and are even known as the cowboy dog. They love being given something to do, such as guiding children, running, or even hiking with their own pack. They are highly active and always need something to do. Aussies need their energy channeled through constructive training. Once trained, they are great off leash running and hiking partners because of their need for work and their instinct to herd. They are also a very striking dog with their piercing gaze and colorful, silky coats. Huskies are the best dog to hike within the winter time. They are another working dog that loves pleasing their owner. They were bred to run and pull some weight, so they make great trail running partners who can hold their own luggage. Siberian Huskies are a pack animal. Therefore they love participating in activities with their family or other dogs. Between their need for a good run and to join in activities, these dogs are great off-leash hiking dogs. However, they do not do well in extreme heat. You wouldn’t be able to take them on the trail on hot days. Pointers were made to work long days in the fields making them great all day hikers. They are happy to embark on any adventure with the owners including water sports and running. These dogs need an active owner to enjoy in plenty of outdoor activities or else they can become destructive. 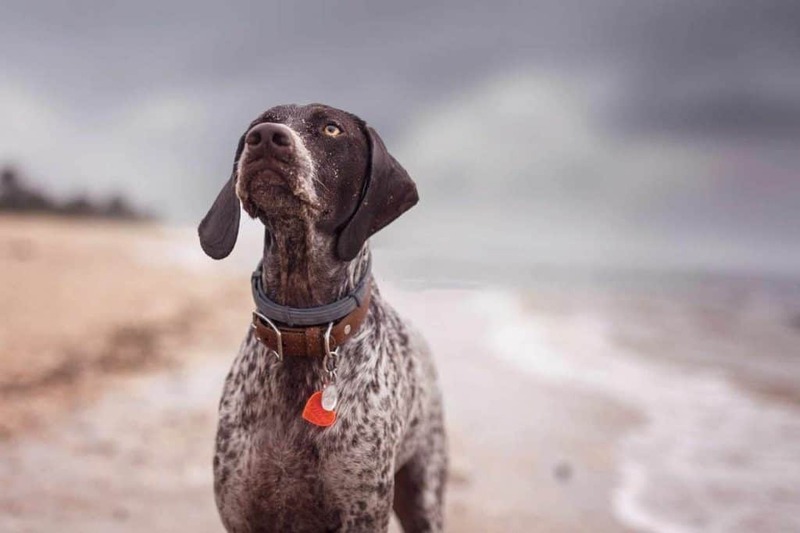 German Shorthaired Pointers create a really strong bond with their families. With proper training and plenty of exercises, they make great off-leash hiking partners. They are also pretty outgoing with early socialization, making them great with strangers and other pets. 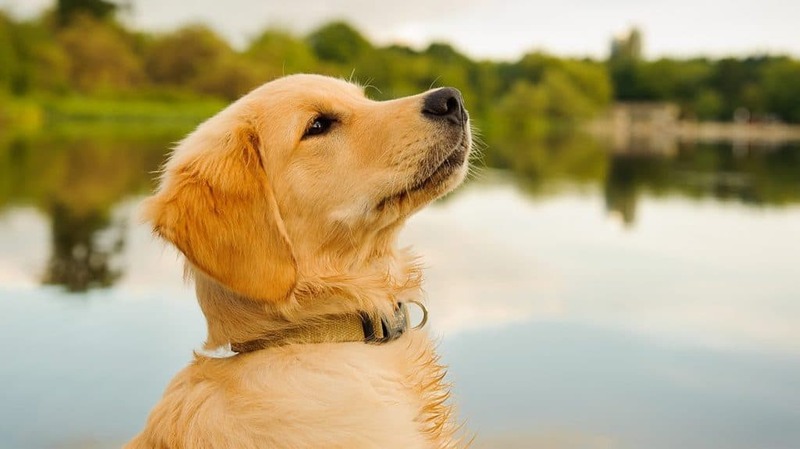 Goldens are trustworthy dogs that maintain a playful, puppy-like behavior throughout its whole life. They are eager to please their owners and create a strong bond with correct training. They are also very smart, making them easy to train. Although goldens have a few joint problems, they need plenty of exercises. Wait to take them on anything rigorous for a year or two when everything is fully developed. They are highly energetic and were bred as soft-mouthed hunting dogs (have a very soft bite making sure to not puncture skin). Off-leash hiking would be a great outdoor activity that your golden retriever would enjoy. Most people see poodles as big sissy dogs, but don’t be fooled. Poodles are highly intelligent, durable dogs. They love getting in the water and were originally bred for hunting. 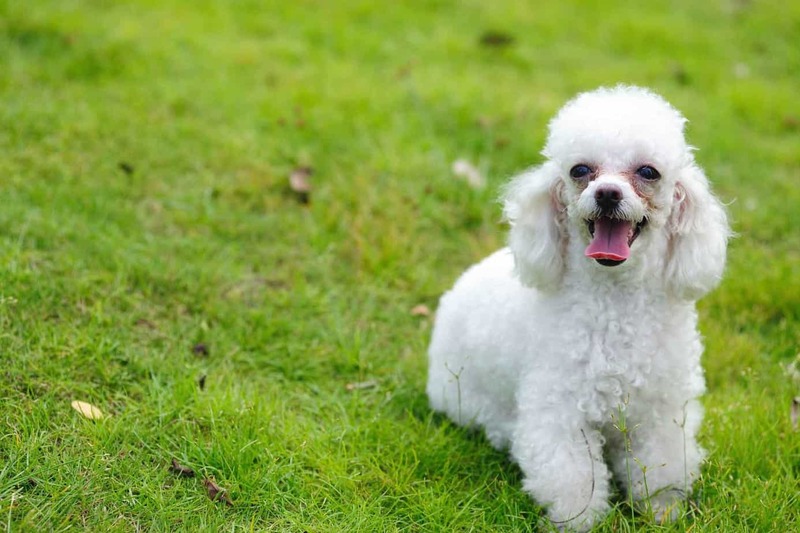 Poodles thrive on going on long walks and pleasing their humans. These dogs are oriented towards humans and are outgoing. They catch on quickly to demands and love to participating in fun training. Playing fetch along your hike is something your poodle would very much enjoy. 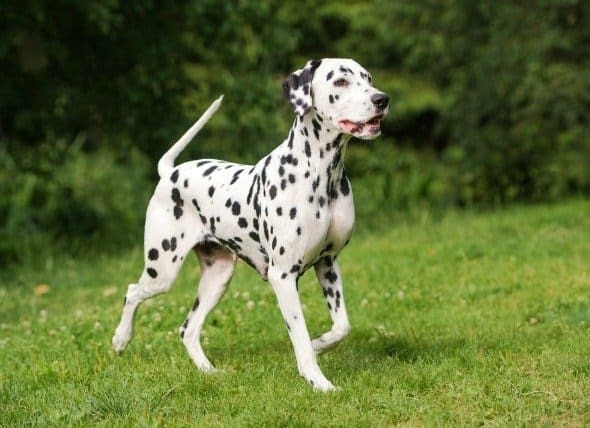 Dalmatians have a very unique black and white spotted coat and were bred to guard and lead the way for stagecoach horses. They have remarkable endurance being able to hike alongside all day if you want. They are loyal to their chosen human making them great for off-leash hiking. These dogs are very sensitive though. They need to be exposed to new and unusual things early on so that they feel comfortable around strangers and other pets when hiking. Although their protective instincts are very strong, they don’t do well with young children. 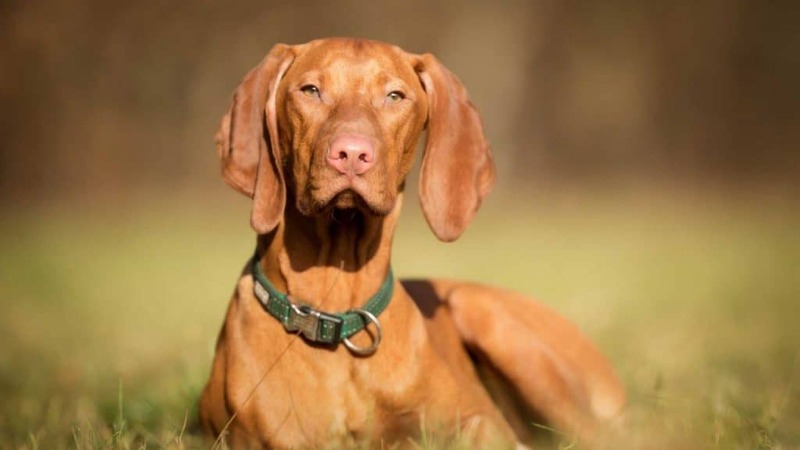 Vizslas were bred to alongside their owners, forming a tight bond with them. They are very loyal to their owner and love to work. These dogs are also very smart and need continuous training to keep their curious minds at work. They also need space to run, making them great hiking or trail running dogs. Vizslas are very sensitive, but with proper socialization at a young age, they become very friendly. They require positive reinforcement and to be introduced to new people and pets. They are even very patient and loving and do really well with the whole family. Catahoulas are guard dogs that are the only dogs originating in Louisiana. They need a lot of socialization and training at a young age because they can be defensive and independent, but once they learn their place they are very loyal to their family. These are great dogs for off-leash hiking as they have a ton of energy. Even though they are independent enough to run off the trail to do their own thing, they always come back when called. They may just be wanting to go for a dip in a nearby lake or creek. Harriers have basically jacked up beagles. 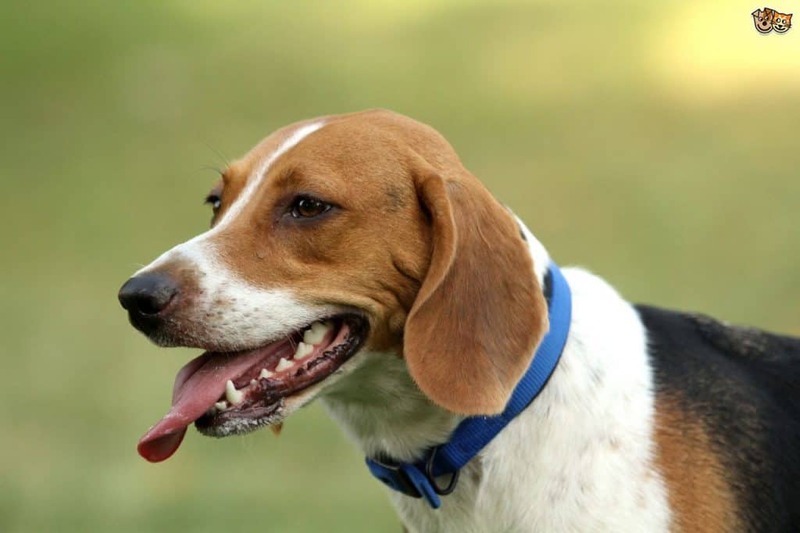 They resemble beagles but are bigger and strong enough to endure a full day of activity. These dogs are bred to run around in fields, chasing critters for hours. Because of this, they love hiking outdoors with their whole family. Harriers can be somewhat stubborn, but with stern training, they can be great off-leash dogs. They love to follow a scent every once in a while, but always listen to their humans when trained correctly. They do have a really strong nose. These sheepdogs are bright eyed and ready to learn from you. They want nothing more than to please you and therefore take on to training very easily. 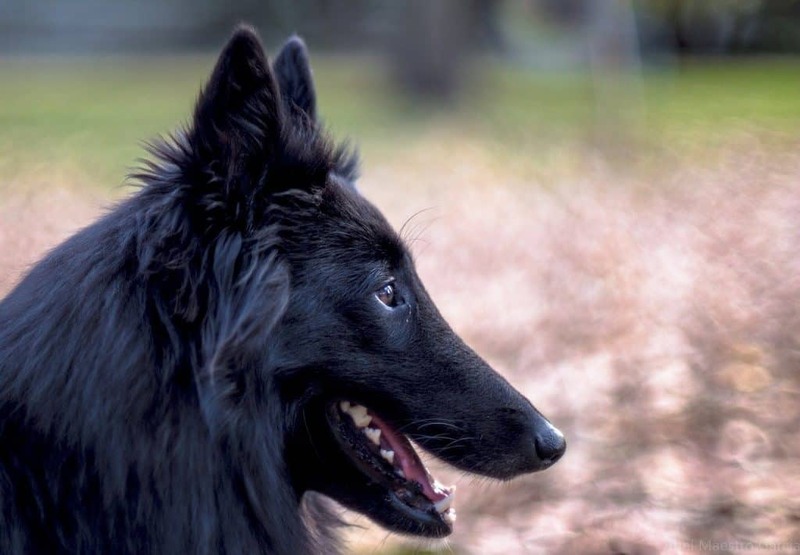 Belgian sheepdogs are passionately loyal to their owners, making off-leash hiking a breeze for these pooches. 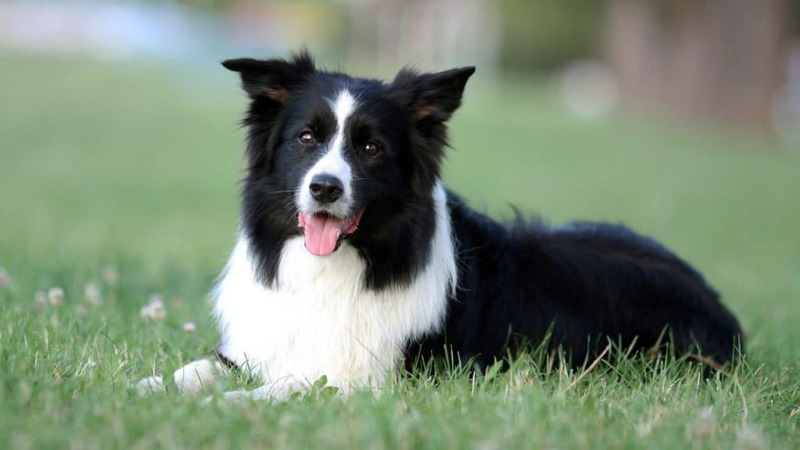 Like other herding dogs, these dogs are very energetic, needing plenty of exercises. They would be extremely happy to venture down the trails with you. You can even take them trail running and they will love it every step of the way. However, they may be a little shy towards strangers, so plenty of socialization at a young age is essential. Boxers are one of the bigger, more toned dogs on this list, but don’t let that scare you. They are very patient and fun-loving, making them great for the whole family. 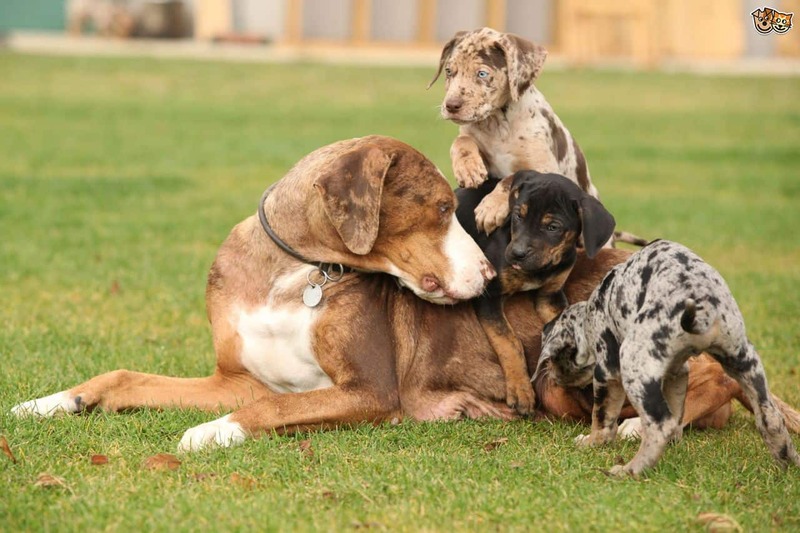 These dogs are great problem solvers and will learn quickly to follow your lead. These pups are very high energy and are known to bounce around. They love to play and are a little stubborn, but are very smart. They can hike off leash just fine as long as they are trained well. Known for being a protective strong dog, Doberman pinschers can go for a long time and stay close to their human. Long walks and hikes are essential for Dobermans as they are very active dogs. These dogs can become destructive without daily activity. Dobermans learn easily and respond quickly. Although, if not socialized at a young age, they can become aggressive. The North American Dobermans are preferred because they have a softer temperament than the European Dobermans.